Princess Aurelia is next in line to rule the kingdom of Tyralt, but she would rather be one of the common folk, free to learn and roam and . . . not marry the next tyrannical prince that comes courting. Naturally, the king wants Aurelia to marry for political power. Aurelia wants to marry for love. And someone in the kingdom wants her . . . dead. Assigned to investigate and protect Aurelia is Robert, the son of the king’s former royal spy and one of Aurelia’s oldest friends. As Aurelia and Robert slowly uncover clues as to who is threatening her, their friendship turns to romance. With everything possible on the line—her life, her kingdom, her heart—Aurelia is forced to take matters into her own hands, no matter the cost. While a fast and easy read, I was quite impressed with the plot overall. Anne Osterlund's style is much like that of Tamora Pierce's. 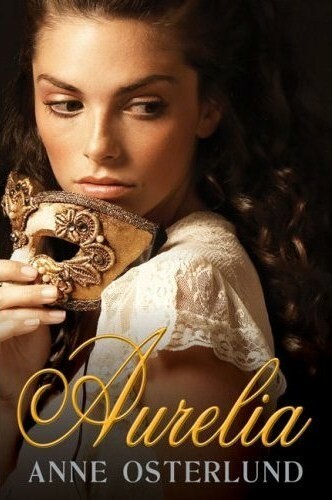 What I especially liked about this book was the relationship between Aurelia and Robert. Though I do wish that more had been shown on the more "spymaster" side of Robert. While you do know that he's a master fighter, there isn't a lot of action throughout the book to prove that. I loved the mystery plot that weaves through this book, though. Fantastically laid out, so much so that I didn't even realize who it was till the end. Then, when it was revealed, I couldn't believe that I'd missed it. That's the earmark of a great mystery well told. The ending was definitely satisfying. It's the ending you wish would happen for books like these and I was glad that it actually played out that way for once. Yet it was delicately crafted in such a way it wasn't crude or lame. Anne Osterlund's descriptions are divine and her dialogue quick and witty. It is a fast and easy read, but it is worth at least a peek.